What Is Ethereum In Simple Terms? Is Ethereum a Good Investment or Not? If you want to make things clear about what Ethereum actually is, does it worth to invest in and eventually how to do that in a long and short perspective, this guide is here for you. Let’s start with the definition. Ethereum is an open source platform based on the decentralized technology of blockchain that allows developers and programmers all over the world to create decentralized applications also known as DApps in any life spheres. In any sphere, really? Yes, whether you rotate in the musical sphere or running a real estate business, if you have an idea of a cool app that can improve the industry you’re working in, you can create such application using the Ethereum engine power. And what about the digital currency? If you’d like to invest in something more traditional like the cryptocurrency itself, you are welcome to do that in Ethereum. The assets based on the Ethereum blockchain are called tokens. To get more detailed information about this term follow the link with the Token Talk. The native token of the Ethereum blockchain is called Ether. As was already mentioned Ethereum blockchain technology allows to create decentralized applications which are protected from any kind of manipulation and third-party interventions. To create these DApps developers should transfer some Ether to the Ethereum platform. In other words, Ether operates as a fuel that makes Ethereum engine work. Actually, everything is different except the decentralized nature of these two blockchain platforms. You see, the Bitcoin was originally conceived as a digital currency, while Ethereum is more like a software, kind of infrastructure that enables people from all over the world to create new digital products not being controlled by any kind of regulators from above. And that what makes Ethereum so unique and promising. So, now it’s quite logical to ask if Ethereum is a good investment or not? The volatility of the market. As you know the industry is young and that automatically makes it risky. New government regulations of the cryptomarket are in the process of forming, which basically means that some crypto can become out of law at any moment, while the other can be approved as trustful. Again, as the market is young there are numerous speculators who aren’t planning to improve the industry but want to make quick and easy money and vanish into thin air. Firstly, Ether (or ETH) is considered to be one of the most credible and used crypto assets. Moreover, there are companies that accept ETH payments along with fiat payments. Being one of the most popular and trusted cryptos Ether is still much cheaper than BTC. As Ethereum serves as the launch pad for thousands of new DApps and tokens, it makes Ether quite a reasonable investment. These are the main aspects you should consider when making the decision. But there are also two more options which should be mentioned before turning to the part of how to invest in Ethereum. First, you have to decide if you want to invest in Ethereum for a long-term or for a short term. As you probably know, investing in Ethereum has already made some investors a lot of money. Today the price seems to be more or less stable, but anyway, the price of crypto assets keeps on rise and fall on a daily basis. Bearing in mind that crypto industry is pretty young and growing, it is logical to assume that Ethereum will grow, too. So for those who are patient enough to handle a long-term investment, Ethereum can be quite a good choice. 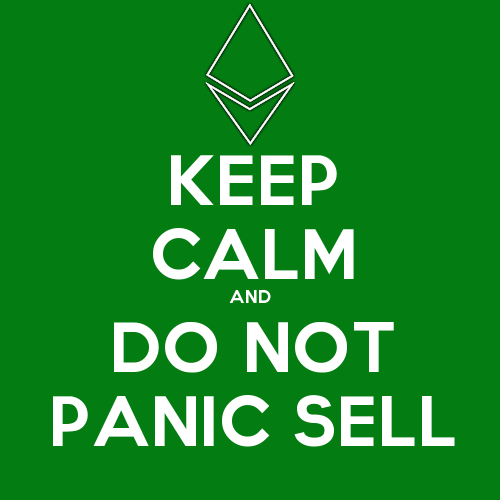 The first rule of this kind of investment is to keep calm and do not panic sell. Anyway, there are always some other assets that could make you more money in a long-term, but you may also lose, you never know for sure. As the price of Ether rises and falls every day, you can also make some profit on it while buying and selling the asset in a short term. The key principle of this type of investment is to catch the moment when to invest in Ether (here’s the hint: do it when ETH is cheap) and the moment when the Ether price grew up enough so you can sell it and make some profit. There can be numerous circles of buying and selling. Still you need to be very organized and also patient. How To Invest In Ethereum​ (Ether)? First, make sure you have a secure wallet where you can store your Ether. Keep in mind that storing you tokens in trading platform account is quite a risky thing, as it can be hacked. You can choose between the desktop wallet or a mobile one. For your comfort, there’re wallets that can be both, such as Jaxx. Thanks to Changelly’s API this wallet supports over 100 crypto assets, such type of wallets are called multi-currency. The next step is to buy Ether. To do that you need to use an exchange service. They can be centralized, decentralized, some of them can let you exchange one crypto for another, while the other exchange enables to buy crypto for fiat. But spending hours while choosing the right exchange doesn’t look too inspiring, huh? Is there any kind of life hack when choosing the right exchange service? Of course, there is. There are multifunctional exchanges that let their users instantly exchange and buy crypto, such as Changelly. It does all the work for you and in return takes a reasonable commission of 0,5%. So you set the wallet and bought some Ether for BTC or fiat or whatever. The asset fell into your wallet in about 5 minutes. Congratulations! Now you’re officially a lucky ETH holder! If to look at the crypto industry in general, first it may seem quite a tricky thing, as you never know what is going on there behind the scene that makes the market rise and fall. But if to sit down and calmly analyze the main principles of the game, it won’t seem so scary anymore. Just choose the right tools to help you and don’t lose your head. Good luck with Ethereum investments! Previous Post:Horoscope from Changelly: Which Crypto Suits You Best?